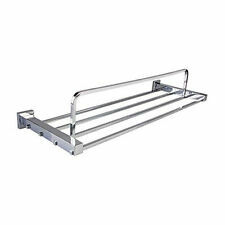 Chrome Shower Caddy Rack - Single Corner Wire Shelf - Screw into Wall 6"x6"x2"
A new category of bathroom accessories that disguises safety and increases acceptance. Bathroom accessories that have a function an also doubles as a grab bar. This bar is designed to go around the shower control valves. Bianco Ibiza XD- Marble Shower Corner Shelf. All at the lowest prices possible without compromising the quality. These elegant stone shelves (Travertine and Marble corner shelves) can be used for variety of shelving purpose such as; shampoo holder, soap dish, bathroom caddy and so on… Install it in the wall corner of your shower to place a bar of soap, shampoo bottles, shower gels or shaving related razors. Make full use of the space above the washing machine or the toilet, suitable for the balcony bathroom. 1 x Over Washing Machine Storage Rack. Good bearing capacity :20kg. Material : Stainless steel composite tube & ABS. About 6"x6" and 2" Tall (about 1 3/4" depth). The strip around the top is about 1/2". Curved corner wire basket, requires screws in the wall to secure. All at the lowest prices possible without compromising the quality. Cappuccino Beige XD - Marble Shower Corner Shelf. These elegant stone shelves (Travertine and Marble corner shelves) can be used for variety of shelving purpose such as; shampoo holder, soap dish, bathroom caddy and so on… Install it in the wall corner of your shower to place a bar of soap, shampoo bottles, shower gels or shaving related razors. 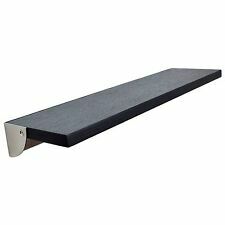 Black Marquina XD - Marble Shower Corner Shelf. All at the lowest prices possible without compromising the quality. These elegant stone shelves (Travertine and Marble corner shelves) can be used for variety of shelving purpose such as; shampoo holder, soap dish, bathroom caddy and so on?. 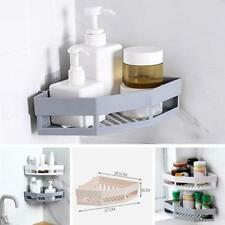 Bone color CERAMIC CORNER SHELF FOR TUB AND SHOWER 7 X7. actual color may vary from picture . 100% Brand New. Activities towel rack four poles (rod can be arbitrary rotating 360 degrees) . 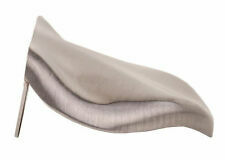 Product features: beautiful and practical, save a space! Surface: precision polishing, advanced coating process, make the surface is bright and clean, more durable, is not easy to fall off. Function: used to hang towel, bath towel and clothes. Hang wall design save a space, is beautiful! All metal construction. Economical and easy installation for builders and for home owners. Required screws and mounting bracket included. Easy to install; Includes mounting hardware. Ideal for Kitchen and Bathrooms. 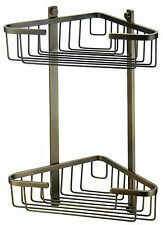 This towel holder looks great anywhere you want to put it and is a great alternative to wall-mounted racks that are often found in the bathroom and k.
Hanging 2 Layers Triangle Hook-Type Bathroom Shelf Toilet Paste Storage Rack. 1 X Bathroom Triangle Shelf（only Shelf）. Number of layers : 2 layers. Storage Scene: Bathroom Storage. Material :Space aluminum. Material: Stainless Steel. Main Color: As the picture shows. Rate (item arrived). Canada Rate (item arrived) 0.0% 47.1% 31.4% 17.6% 3.9%. 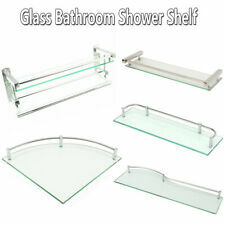 Shower Bathroom Wall Clear Transparent Corner Acrylic Shelf. 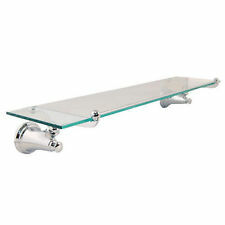 This corner shelf made from acrylic clear material and it is safer than any glass shelves. Length: 12" (30 cm). Width: 12" (30 cm). It has two small brackets (all included) that should be mounted in the middle of each side. Wall mounted install. - Material: Brass. - All products covered with manufacture warranty. Material : Glass&Stainless steel. We are professional manufacturer to produce high quality faucet products. 4 shelves to maximize storage for towels, washcloths and other bathroom supplies. Stylish design looks good in any space. Modern and stylish design ideal for any bathroom. 1 x Alumimum Rack. (including accessroy of screws and nuts). ZH-Jiaxing Trading. Quantity: 1 se t.
Handcrafted of beautiful natural crema marble stone. shelf bracket kit. All at the lowest prices possible without compromising the quality. These elegant stone shelves (Travertine and Marble corner shelves) can be used for variety of shelving purpose such as; shampoo holder, soap dish, bathroom caddy and so on… Install it in the wall corner of your shower to place a bar of soap, shampoo bottles, shower gels or shaving related razors. 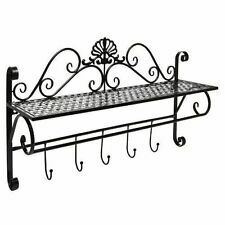 Bathroom shelves come in a variety of styles for varied purposes. There are models and space savers for the minimalist and larger storage systems for holding more possessions. Baths require organization for good measure, and a private cabinet is a reliable start. What basic materials are bathroom shelves made from? Shelving with wide panels - Shelf space does a number of things for utility. The type of wood is an addition to the strength and the overall beauty each model provides. With a bathroom in mind, items like a towel may need to stay dry and accessible at the same time. Wood keeps items away from moisture and out of public sight. Shelving made with secure connections - Interior shelves are a bath component that use secure connections and strong mounts interchangeably. Exact shelf dimensions help you to store linen, cleaning supplies, and hygiene items with ease. Having bath storage is about organization, and its strength is an important factor. Glass finishes - The constructed components of a glass enclosure work to provide clarity, use, and decor. Glass is a common material that offers a variety of styles. How can shelves be used for storage? Freedom and flexibility - The shelf is a place you use if or when necessary. Bath units with shelves offer variety. With a properly enclosed structure, you can organize your space and keep various bottles, soaps, facial creams, and so on. Both creativity and storage - Bath units work with the experience you want. Every bath will see tremendous amounts of water in and out of it. Cabinets are made with that water factor kept in mind. Shelves near a shower or bath are ideal for storing towels or any shower-related accessories. A wider access to design and décor - Storage-based mounts enable you to add beauty to your area while keeping that area manageable. Putting your bathroom together requires an individual approach. Bathroom units easily place on a section of your wall or fit on the mounted appliances you already have. Shelves above the toilet, for example, can hold your toilet paper.